I thought I’d died and gone to fizz heaven when I went to the first annual tasting of Wines of Great Britain the other week. Scores of producers around the room chatted and shared the love of their wines and three long central tables showcased a veritable festival of bubbles (oh, and lots of still wines too) created on this island of ours. 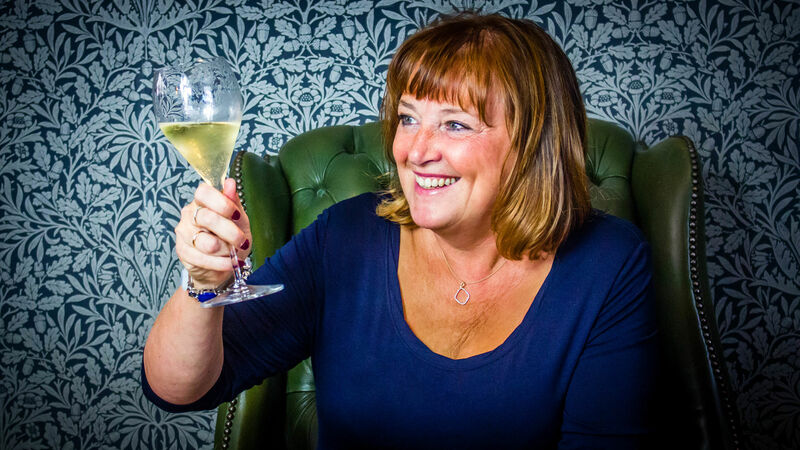 Our sparkling wines are amazing and this week gives you a perfect reason (if you need one) to enjoy a glass of our homegrown wines as it is English Wine Week and Welsh Wine Week (up to June 3). 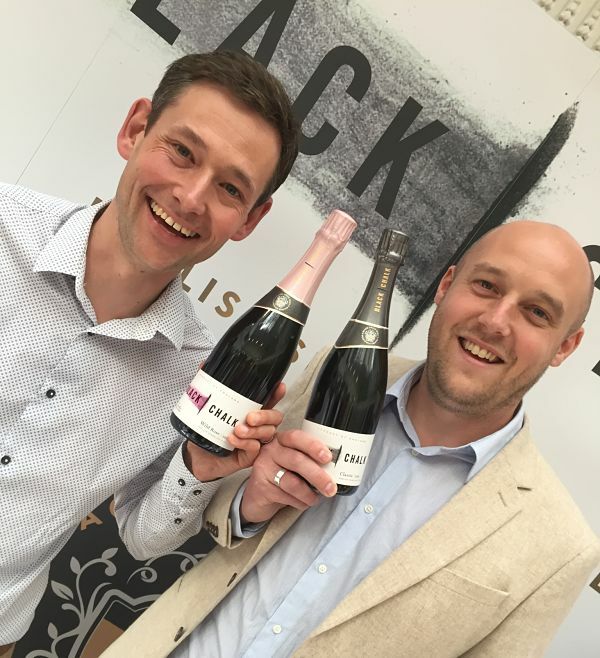 A new kid on the block is Black Chalk Wine which launched at the fair under the watchful eye of winemaker Jacob Leadley and his business partner Andrew Seden. The brand name isn’t a reference to the terroir in the Hampshire vineyards, but is a nod to the chalk old masters used to sketch out their ideas when they were taking the first steps towards creating a piece of art. Jacob – who is also winemaker for Hattingley Valley – told me that is how they feel about the wines they have created; it is the beginning of their own wine ”artwork” which will continue to develop and grow. I won’t lie, I saw Black Chalk again at the London Wine Fair and artfully guided my companion towards Jacob and Adam and their wines just so I could have another sneaky taste without having to worry about taking notes. Just for the pure enjoyment! Oh, naughty but nice. Winemaker Jacob is keen to showcase the pinot meunier grape, which he believes is perfectly suited to the chalk soils of the vineyards, delivering a good fruity expression with a floral note. Classic 2015 (£35) and Wild Rose 2015 (£40) are both available from www.blackchalkwine.co.uk and the wines – so new to the market – are picking up distributors every week, so keep an eye out. They’re also available from Red Squirrel Wine. The classic is a blend of chardonnay (49%) pinot noir (17%) and pinot meunier (34%) the traditional champagne grapes, and the wine is made in the same way as champagne. It has already won a silver medal at the International Wine Challenge and is a fruit forward wine, with delicate floral hints and a delightful freshness. The wine has also picked up a bronze at the 2018 Decanter awards. Pinot meunier takes the lead (47%) in the Wild Rose blend, which has notes of redurrant, raspberries and ripe strawberries. Chardonnay and pinot noir (28% and 25%) also play their parts. (Ooo, and there’s a silver medal here for this wine in the Decanter awards). What a legend Jacob is!